It may destroy the myth, but it is worth remembering the reality behind the romantic image : this trend is not only a deterioration of public urban equipment, which proves expensive for both the city and its inhabitants, but also raises serious security problems, in addition to aesthetics questions (but let’s leave that one to the people; whatever you think about the beauty of these padlocks is up to you) ! 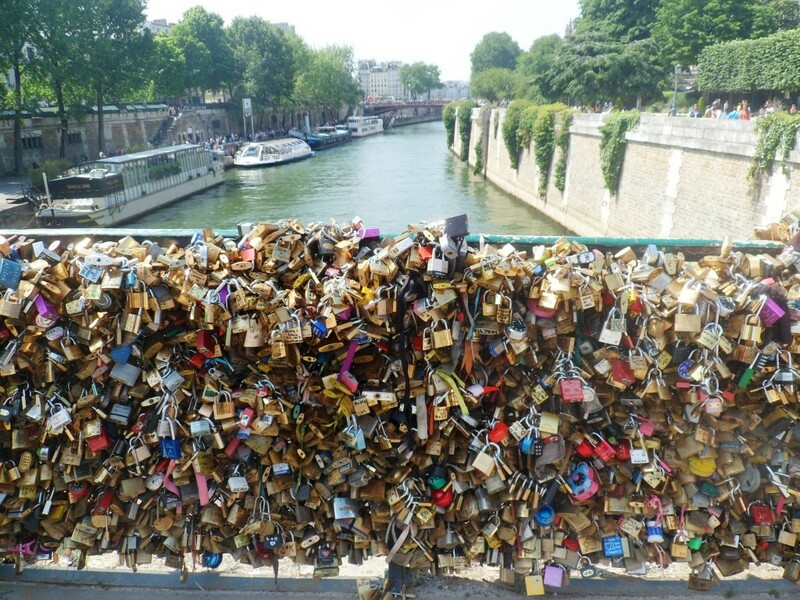 Still, the environmental question remains: these locks quickly rust and rust spreads to the structure of metal bridges, the keys thrown into the Seine pollute the water of the river, and not to mention, the beautiful panoramic view is now blocked by locks upon locks. 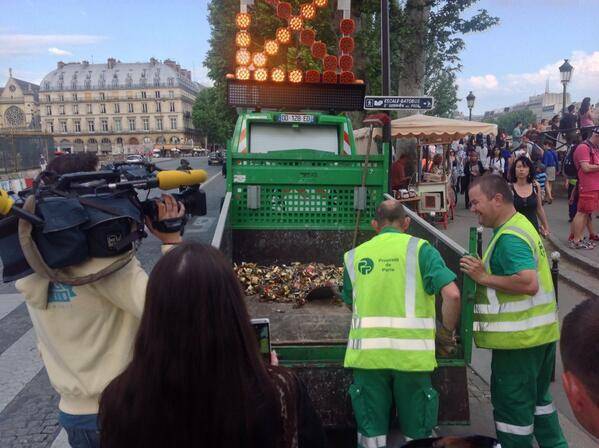 The city council says it feels concerned about the problem and seeks “alternative solutions, artistic, ecological and humanly acceptable” for this question that poses “problems of safety and aesthetics.” More than a year ago, the mayor of the 6th district (where the Pont des Arts is located) already drew attention to the problem in a national television report (see the video below). Two American women, in love with Paris and its beauties, have launched a petition to ban this practice. They explain in detail all the issues with this trend on their website, NoLoveLocks. 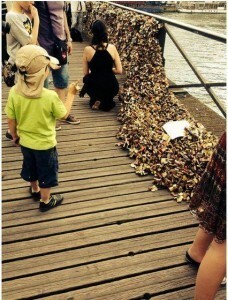 Let’s bet that now that you know the dangers of love locks, you will surely find other ways, more creative and respectful, to show your feelings to your loved one.